Green Bananas Fight Diarrhea Green banana contains starches resistant to digestion and have been studied in combination with pectin to significantly reduce intestinal permeability and fluid loss during bouts of diarrhea. Even without pectin, green banana has been found to hasten recovery of acute and prolonged childhood diarrhea. Banana powder has been studied to prevent ulcer formation induced by a variety of drugs, including aspirin, indomethacin, phenylbutazone, prednisolone, cysteamine, and histamine. Banana peel has been found to suppress testosterone-induced prostate gland enlargement. 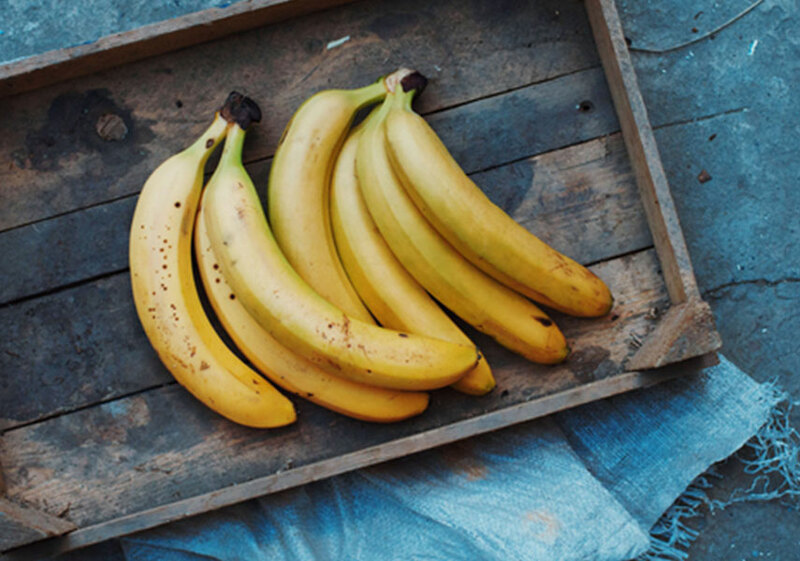 UV-B light induced skin damage may be prevented or reduced through the consumption of bananas, with a protective effect against loss of skin elasticity. Banana flower extract has been found to have both antioxidant and blood sugar lowering effects. Banana root extracts have been discovered to contain blood sugar lowering properties comparable in efficacy to the drug glibenclamide (Glyburide). Unripe banana contain starches resistant to hydrolysis, which benefits diabetics. Banana contains compounds with demonstrable anti-MRSA activity, anti-HIV replicative activity, and following metabolic transformation by fungi, anti-leishmanicidal activity. Don’t buy non-organic bananas. Like other foods that are grown in massive monocultures, without crop rotation, they are a pesticide-intensive crop. © 2017 GreenMedInfo LLC. This work is reproduced and distributed with the permission of GreenMedInfo LLC. Want to learn more from GreenMedInfo? Sign up for the newsletter here http://www.greenmedinfo.com/greenmed/newsletter. Click here to view and print this newsletter.